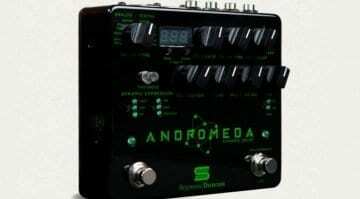 Periphery guitarist gets signature delay/reverb pedal. 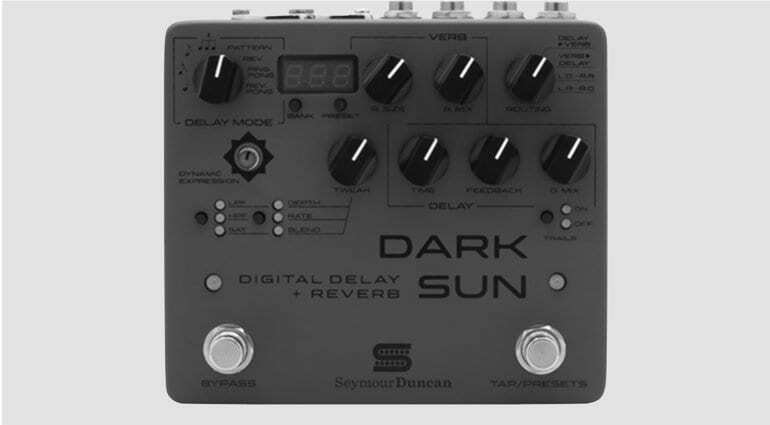 The Seymour Duncan Dark Sun Mark Holcomb Signature Delay is a digital reverb and delay, with twin signal paths and modulation, with handy expression options onboard. 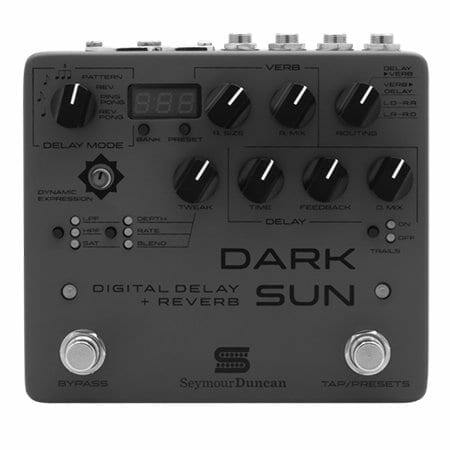 The new Mark Holcomb Signature Seymour Duncan Dark Sun has both delay and reverb effects available, that can be routed via split stereo, allowing for use of both effects at the same time, each on its own separate channel if required. It has a rather useful EQ section with the High-Pass and Low-Pass filters on available, so you can dial it in how you like. 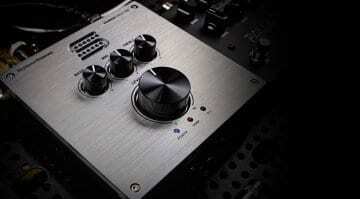 There are also 8 delay mode settings available to you. These include Reverse, Ping Pong, Reverse Pin Pong and Pattern delays. 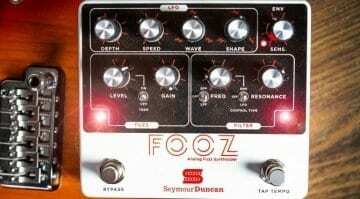 Plus the reverb’s room size can be controlled by Size and there are two independent Mix knobs, one for each delay and reverb. The modulation side of the Dark Sun can be used on either channel and in stereo. 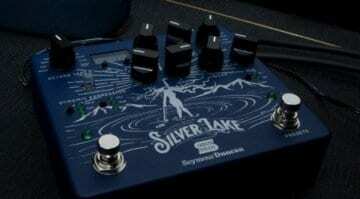 You can also switch the order of the delay and reverb, plus route them how you like. Mark states he usually goes from Delay into Reverb himself in Periphery, but you can switch it up how you like. The tap tempo switch doubles as the preset select, and there is also an input for an expression pedal, so you can tweak it live without having to bend down.